Kola GMK has boosted its nickel output by 50% after refining was moved from Norilsk in Siberia. «A large-scale upgrade is now at full swing,» says Igor Lisitskiy, Deputy CEO for Reconstruction at Kola Mining Metallurgical Combine (Kola GMK) in a press-release. According to Lisitskiy, the factory in Monchegorsk has become the world’s largest nickel refining facility. «Monchegorsk site produces up 165,000 tons of nickel per year,» he says. Last winter, the old nickel refining plant in Norilsk on the Taymyr Peninsula was closed down and production moved to the Kola Peninsula. The factory in Monchegorsk now receives nickel matter from both the smelter in Nikel near Russia’s border to Norway and from the Nadezhda Metallurgical Plant in Norilsk. 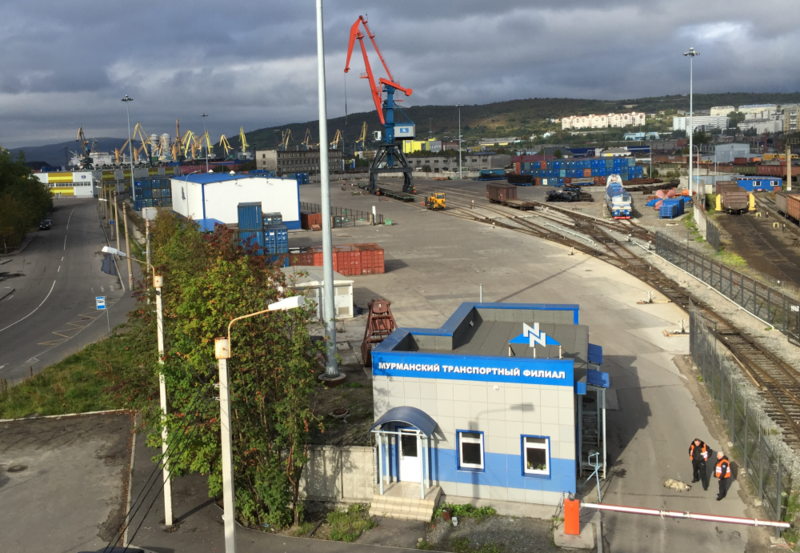 The matte from Norilsk is shipped via the port of Dudinka to Murmansk and transported further by train to Monchegorsk. As previously reported by the Barents Observer, also copper production in Monchegorsk is up 43% and amounted to 39,201 tons the first six months of 2017. Nornickel has copper production both in Norilsk and Monchegorsk.